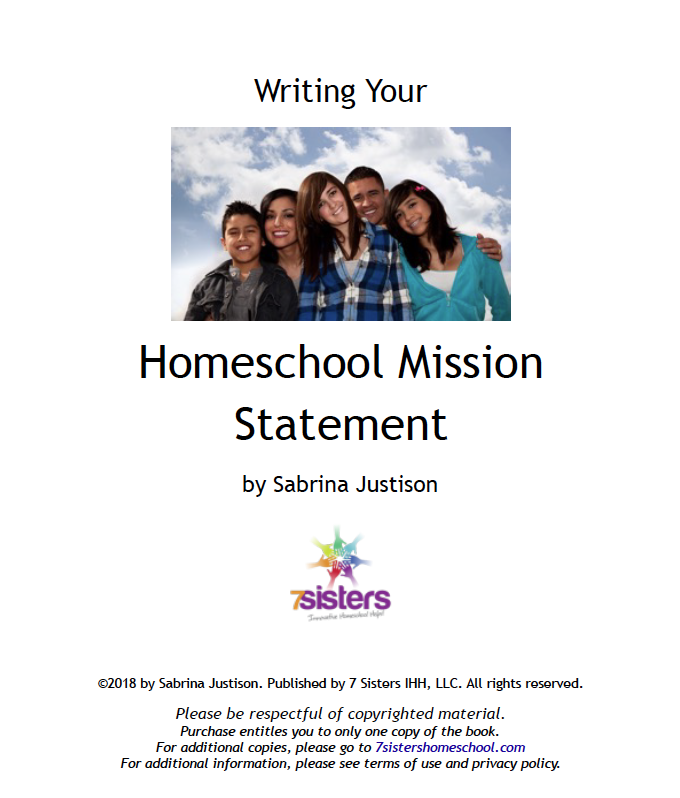 What is a Homeschool Mission Statement? A mission statement is a piece of writing that articulates, in summary form, the aims and values of an organization; it captures what is most important to you in brief statements or paragraphs. It is a tool you can use when you are trying to evaluate options and make choices, because it helps you recognize what REALLY matters to you most, so that you can choose actions that will move you toward your goals. ADD THIS FREEBIE TO YOUR CART AND DOWNLOAD TO READ THE REST!